I'm taking another breather between Final Fantasy games. In the week since I've finished Final Fantasy IX my most played game has been Destiny. Destiny is a newly released multi-platform FPS by the creators of Halo. It has the feel of Halo, Borderlands, and an MMO all mashed together. I've been having fun with it but I don't know if it will have much staying power with me. Since I'm a fan of both the FPS and MMO genres it falls in an interesting middle ground for me. Destiny is set in the future across terraformed planets in our solar system. Each planet has different sets of enemies to encounter and different styles of dungeons to explore. The story and the world aren't well developed but the setting and landscapes are beautiful. There are 3 classes to choose from, each with 2 subclasses and a variety of unique powers. There is probably some replay value there. 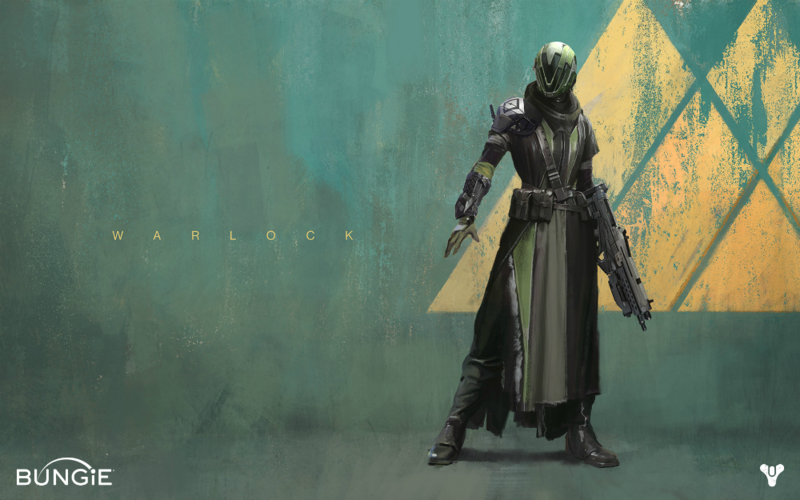 I went with the Warlock because Space Magic is very appealing to me. It's fun to encounter other classes while I play and see how they differ. Hunters dart around with fast melee strikes while Titans shoulder rush in and can take a ton of damage. It's your typical Fighter, Rogue, and Mage but it's been reskinned for a sci-fi setting. A lot of the typical MMO endgame pitfalls are present, which is weird to see in a FPS. There is a soft level cap at 20. After that, you have to hunt for new gear in order to power up. This should sound familiar to anyone who has ever gotten into MMOs. The weird thing is that gear has a stat called "Light" which is unlike the other typical stats (attack, defense, intelligence, strength, discipline). Gear with the Light stat only drops after hitting level 20 and Light actually pushes your level above 20. So, a level 20 player who puts on gear with a bunch of Light may actually be level 26. It's weird but it works. Although the endgame is a bit different, it still has the standard gear treadmill. I've always thought gear treadmills are the worst part about MMOs. At the end of the game there is a limited amount of content which you have to repeat over and over again in the hopes of randomly getting better gear. I hate this in MMOs. I hate it here. I'll probably play my level 20 Warlock long enough to experience all the endgame content once and get a couple Light levels. Then I'll either make an alt or stop playing altogether. I wonder how many other people will hit that point and stop playing too. I've left out details about PVP, so I should touch on that. I'm not a big fan of FPS competitive play, but it's present, has a variety of game types, and it seems pretty solid. If you were a fan of the Halo competitive multiplayer experience I'm sure Destiny will fulfill that same need for you. It's not a big draw for me, but I appreciate that it's an option if I want to add some variety to my gameplay experience. I don't want to give the wrong impression. I like this game. It's a solid shooter with good core gameplay mechanics. It has a ton of potential for future expansions to add more content and story. I think this could be a good game long term, but I know it won't hold my attention for more than a few weeks in it's current form. I hope they decide to release expansions and new story content regularly. If they do, Destiny could morph into an amazing game.